So the Anthem demos are over. We are now less than 3 weeks from launch, and frankly still a little unclear as to exactly what we’re getting on Feb 22nd. It’s like we’ve been given a free taster of a meal that went down fairly well but no one will tell us what the chewy bits were and no one’s seen Rover for a good few days. I’m not suggesting for a moment that BioWare intend to serve us dog, but I also can’t say with any concrete certainty that they don’t. 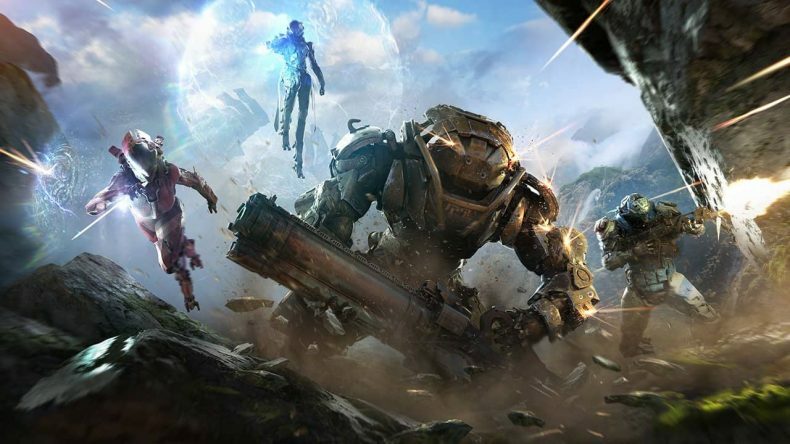 We’ve now had a glimpse at a vertical slice of Anthem, and we’ve been to events to see the endgame, such as it is, but here’s the thing: EA and BioWare are taking steps to control exactly what we know, and are straight up dodging the stuff they don’t like us questioning. Things like the microtransactions that they’re still being very cagey about and pretending they haven’t finalised for a game that’s gone gold. But what about the stuff we do know? Well, to be fair, we’ve got some questions about that too, and specifically about a handful of things – six, in fact – that Anthem is currently lacking, and really needs at launch. This is a no-brainer. This isn’t even a no-brainer; this is what happens when you take a no-brainer and make it watch nothing but daytime soaps for 10 days straight. This is 101 stuff. The whole game is built on team synergy, teamwork, and gear builds, but I currently have no menu to check this. Anthem has more menus than a Chinese Takeaway, but just not this one. So if you forget which convoluted-scifi-named piece of planet-shaking ordnance you equipped before leaving Fort Tarsis, you’ll be useless when coordinating strategy. Likewise, there’s no way to change your gear or build in the world. This may be fine if you’re doing a mission and you’ve pre-prepared for 20 minutes, but if you or any of your friends screw up and bring the wrong gun (and that’s easy done because they all look the same) you’ll have to trek all the way back to Fort Tarsis, use the Forge, then load back into the mission. Also, in Freeplay, the objectives will be dynamic and varied (we hope) so not every job will be doable with the same guns. Except the Devastator sniper rifle. That thing is an utter menace. Why would you spend countless hours making your Javelin look like you built it out of two £100K sports cars and then go into battle with a gun that looks like you found it in a bin and fixed it with gaffer tape? If you’re the kind of vain, self-inflating exo-suit pilot who won’t go into battle without making sure none of your colours clash, why would you then pick up a battered old assault Rifle without giving it a similar makeover? Anthem has crafting. It also has material gathering and an economy. That leads us to believe there must be rare ingredients out there that you need to grind for in order to make the better stuff. So it stands to reason that you’d have people with busy lives and no time to grind and farm, and those with sod all better to do on a Friday night than loot alien spore pods for sticky goodies. Wouldn’t it make sense to allow players to trade goods, even if you limit that to avoid a gold-farmer situation. BioWare are giving us a meeting hub, so why not player to player trading? Let’s be clear, I really enjoyed my time with the Anthem demos, but it wasn’t the best showcase for the game. BioWare have repeatedly said that the launch build is better, and lots of YouTubers are saying similar things so I’m not hugely worried, but I am concerned that the demos were about as smooth as a horse’s bollockbag. If BioWare have managed to fix that framerate to a point where it’s not choppier than Jason Vorhese, kudos, but I’ll wait til I see it. Now, far be it from me to body-shame anyone’s endgame but if you’re going to release a looter-shooter with the content equivalent of a bony arse no one’s going to stick around for long. At this point we’ve been promised 3 Strongholds, one of which we all played several times in the demo, and a daily legendary bounty, which is a multi-part quest that you can only do one of per day. And that’s it. You can zip around the openworld if you like, but really that seems pretty thin on the content side. Even Vanilla Destiny had patrols and Strikes and the Crucible to keep people at least half invested, but the big worry is that we’ll all be kicking around in gaudily-painted 2-ton murdersuits with nothing to murder but the wildlife while we wait for BioWare to give us something new to shoot at. There’s a new buzz word right now which is “Aspirational content” meaning Raids and Shaper Storms and dungeons – but I hope there’s more coming, and soon, because, honestly, I’m counting on Anthem to replace Destiny 2 as my new hobby game. So, there you go. 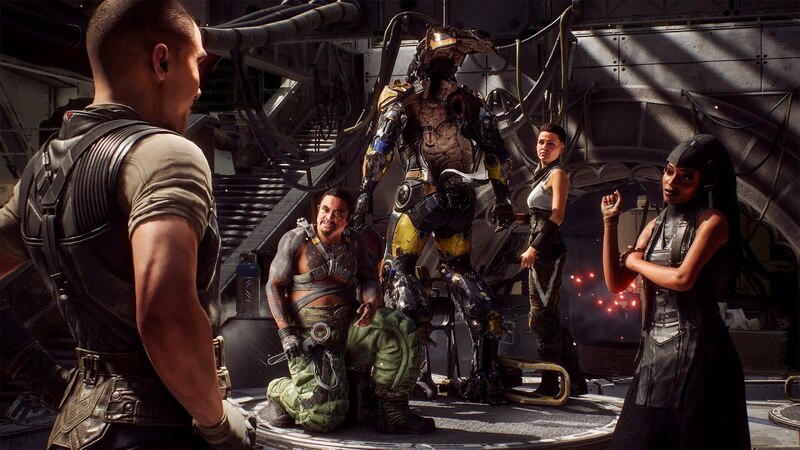 Those are 6 things I think Anthem really needs to bring to its launch party if it wants any of us to dance. 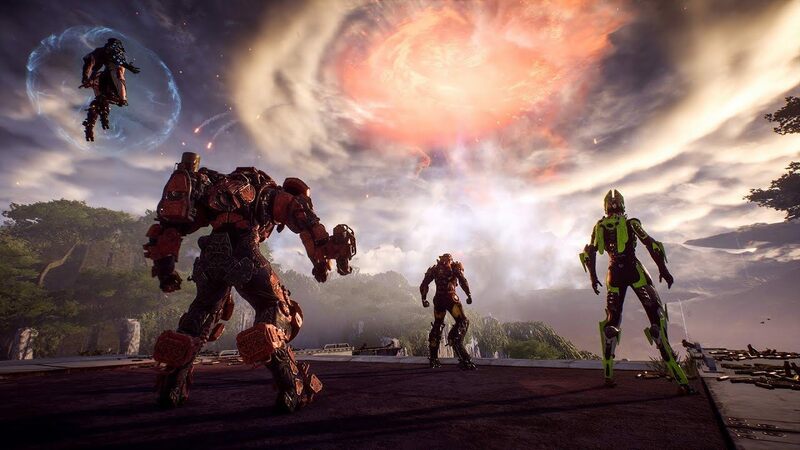 Right now I’m still very hopeful, but I want to be wowed – and I think Anthem still has the potential to do that. My big fear is that all the demos and reveals have watered down the hype, and made an already tough sell even tougher. Fingers crossed for February 22.